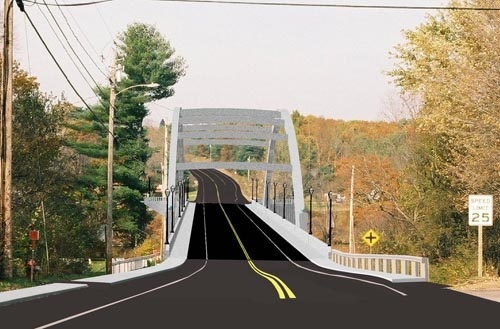 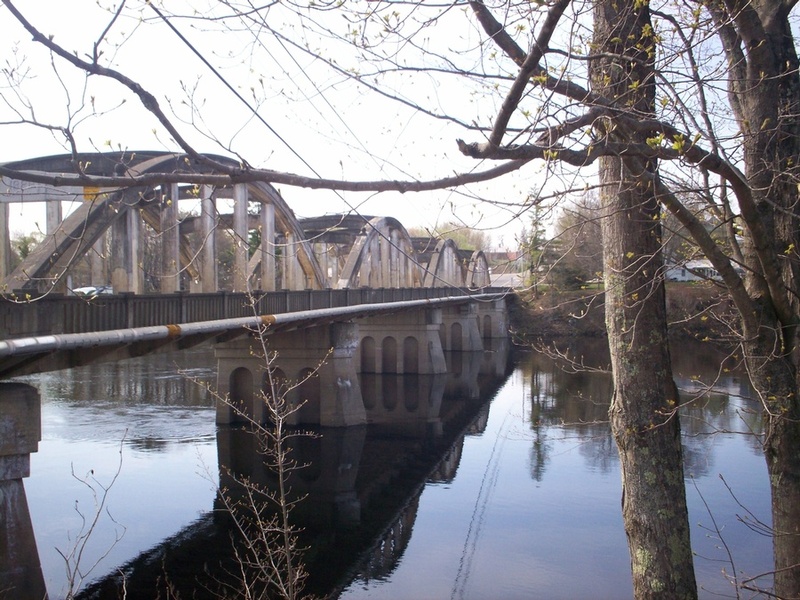 Built in 1928, the 570 ft. long, 8-span, tied-arch Covered Bridge over Kennebec River in Norridgewock, Maine was named one of Maine’s most significant twentieth century bridges by the Maine Historic Preservation Commission. 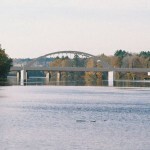 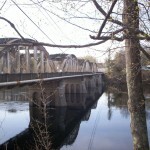 The bridge carries Route 201 over the Kennebec River with a traffic count of 12,000 vehicles per day. 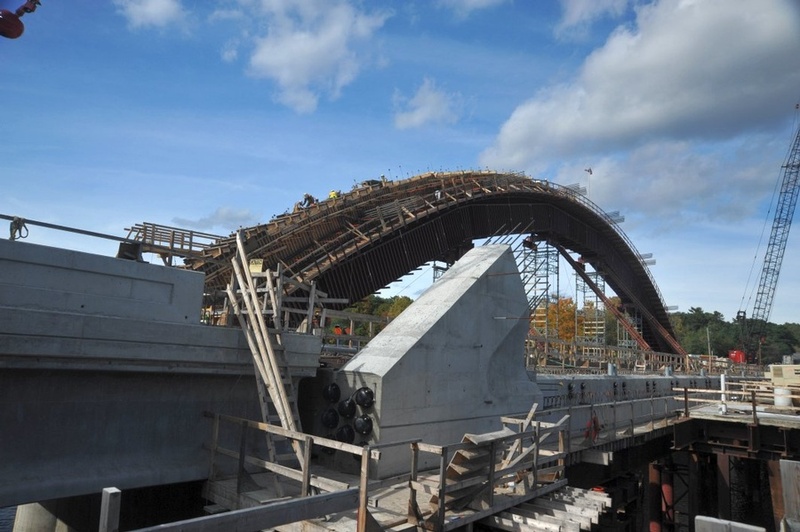 Unfortunately, this historic landmark was structurally deficient and had to be replaced. 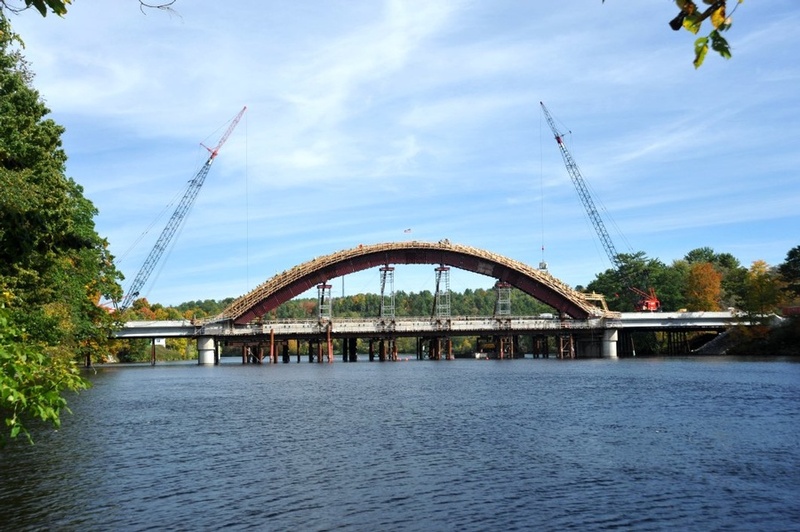 The new bridge is a 567 ft. long bridge with an AASHTO prestressed concrete beam approach span on either side of the concrete arch span. 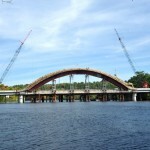 The new bridge’s tied-arch span contains two parallel 300 ft. long arch ribs consisting of cast-in-place concrete with six cast-in-place transverse braces. 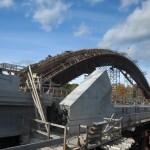 The arches rise 60 ft above the deck. 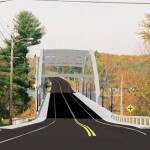 A 135 ft. long approach span is provided at each end of the arch. 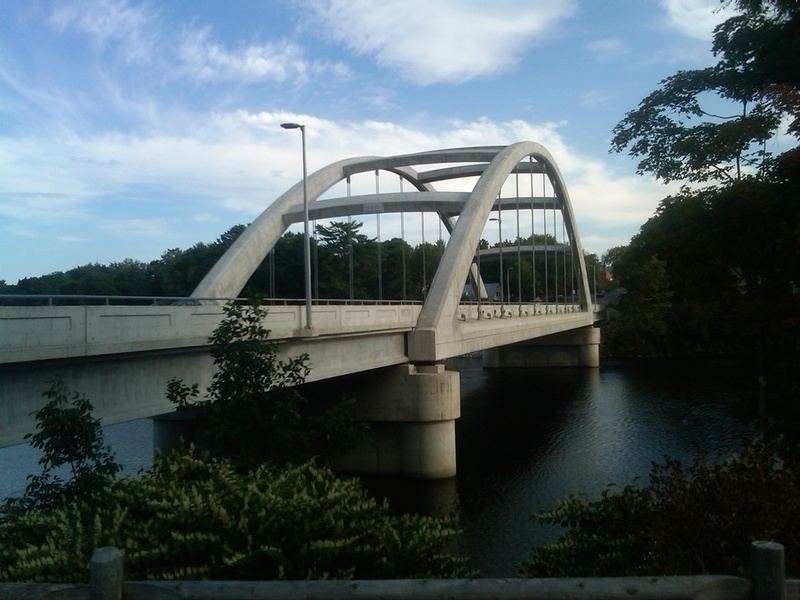 The bridge is 46 ft. wide and includes two 12 ft. wide travel lanes. 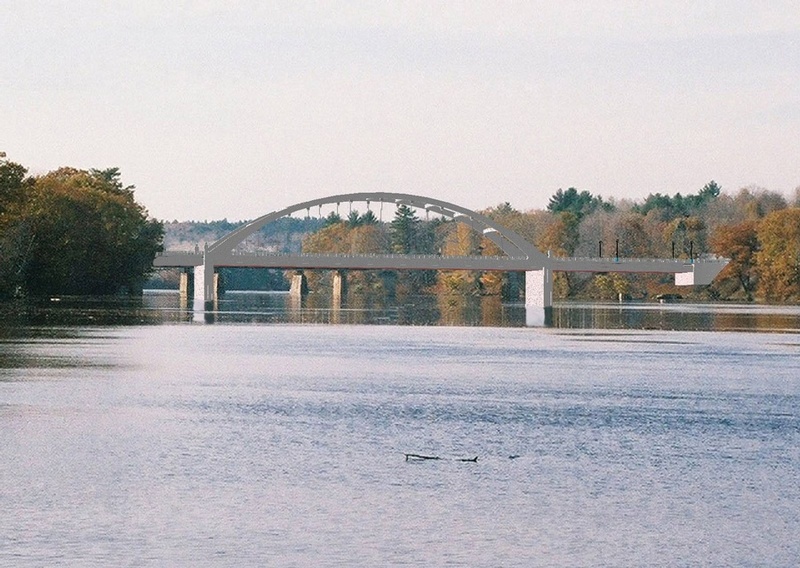 FINLEY used the conceptual sketches and plan details as the basis for review and estimates, a constructability review, a peer review of the design concept & contract documents, and a contractor’s construction estimate and schedule.